This article is 1255 days old. Amherstburg’s annual Christmas light celebration, River Lights, kicks off this Saturday. It begins at 5pm with the Super Santa 5K Run/Walk. Also at 5pm, a Holiday Classic will be presented on a giant screen. The tree lighting takes place at 6pm with fireworks ending the evening at 6:20pm. All the fun takes place in Navy Yard Park. Throughout this Christmas season you can get into the festive spirit by taking a stroll through over 100 lighted displays including two large animated fireworks displays and a computerized Christmas tree set to holiday music. The displays take you through two parks in the historic downtown area of Amherstburg. 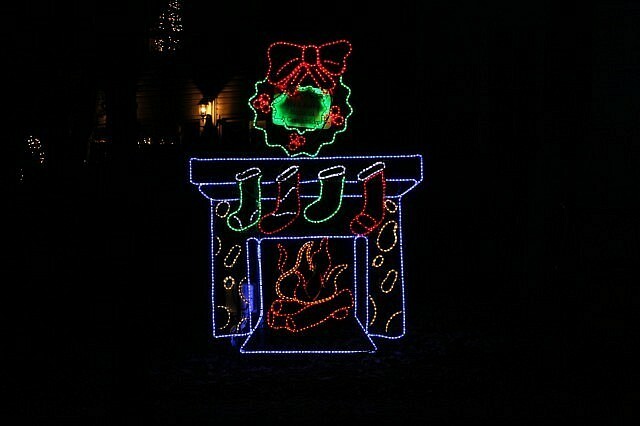 They are lit nightly, from 5:30pm to 9:30pm until January 1st. There are also several events planned on weekends for added family Christmas fun. For more information, check out the Windsor Christmas Guide.